Lots of things have changed since Joe and Alice shared the first bottle of Heitz wine in 1961, but our core values --- quality, integrity and innovation --- have stood the test of time. A glass of wine is our way of celebrating the best times in life. That means celebrating the big things, of course, but more often the small. "In our family, most of life's memorable moments have involved sharing a bottle of fine wine with friends and family. Many of the personal and business relationships that we still treasure after three generations started around our dinner table. The Heitz family's vision of winemaking spans three generations of dedication to excellence. We believe that true artistry sometimes requires restraint. We strive for the delicate balance between science and nature's bounty that allows our wines to express the genuine character of the varietal and to reflect their vineyard's unique geography within the Napa Valley. The gray stone cellar, constructed of hand-chiseled perlite in 1898, safeguards Heitz' collection of French oak barrels which are filled with aging wine. The rich patina of its weathered walls is in perfect harmony with the high-tech equipment dotting the landscape of the winery's grounds in the 21st century. Second generation Kathleen Heitz Myers and David Heitz are now at the helm as president and winemaker. They have each been integral to the success of the family business since the 1970s, helping to build the worldwide reputation for Heitz Cellars -- a name that has become synonymous with luxury in the world of winemaking. Heitz Wine Cellars has earned countless accolades for its dazzling wines every year since 1961. Their renowned vineyard-designated wines -- Martha's Vineyard Cabernet Sauvignon and Trailside Vineyard Cabernet Sauvignon -- are the highlight of the winery's distinguished resumé. Heitz' remarkable Martha's Vineyard Cabernet Sauvignon has been a collector's favorite for over 50 years. Wine Spectator underscored this wine's legendary status by selecting Martha's Vineyard Cabernet as one of the Top 12 wines of the 20th Century. Heitz Wine Cellars' Chardonnay, Grignolino, Zinfandel and Port have also earned their share of ardent fans over the years. 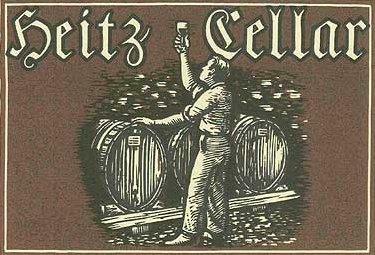 To many admirers, the Heitz label is the premiere symbol of fine wine and graceful hospitality. Since the winery ranch also includes the Heitz' family home, we direct visitors to our original site on St. Helena Highway where we have welcomed wine lovers for over half a century. At Heitz Wine Cellars, we practice sustainable and certified organic farming in our vineyards in order to preserve our rich agricultural heritage and contribute to a healthy future for everyone who calls the Napa Valley home. "The decision to farm our ranches organically has proven to be a success for the health of the vineyards and allows for the true characters that each site possesses to come through in the complexities of the wines." Our agricultural operation has gradually expanded to encompass 1,100 acres which are located in some of the Napa Valley's finest winemaking appellations. Those prime parcels include the ranch that surrounds the winery property and sweeps the eastern hills of St. Helena, our acreage on Zinfandel Lane and the rich farmland of the Trailside Vineyard in Rutherford. Our majestic Valley Oak Ranch is contiguous to the steep slopes of our Ink Grade Vineyard, and our Linda Falls Vineyard is a tiny jewel on Howell Mountain. Then there is our original site about a mile south of downtown St. Helena which we all especially treasure -- the much-loved vineyard that frames Heitz Cellars' Sales & Tasting Room today. We have planted grapes on 425 of these acres, carefully selecting areas that convey the incomparable breadth of geography and climate that makes the Napa Valley the ideal place on earth for winegrowing. James Suckling 93"Lovely aromas of blackcurrants and dark chocolate with hints of flowers. Ever so subtle. Medium full body, firm and silky tannins and a juicy finish. Shows tension and focus. Drink or hold." ~J.S. James Suckling 93"Solid Chardonnay with sliced apple, green pineapple and lemon aromas and flavors. Medium to full body. Flavorful finish. Real Napa Chardonnay here. Drink now." ~J.S. James Suckling 95"Ink aromas as well as blackberry and black currant character. Full-bodied, round and silky with intensity and depth. Long and persistent. Love it. From organically grown grapes. Drink now." ~J.S. Cellartracker 91"Organically produced and it shows with balance and delicate flavours. Can barely sense the oak used and I love a dry chardonnay from the new world. Not often I even drink California chardonnay...burgundy is king...but, this is worth having by itself or with any dish!" ~F.P. "The vibrant color of our 2008 Chardonnay denotes the elegance of the wine. A tempting nose of fresh citrus alerts the senses to crisp fruit flavors with just a hint of pear to smooth the edges. This is a delicious, dry wine with pleasing structure and a zesty beam of mouthwatering acidity.